Rachel K. Greene, age 34, went to be with the Lord on Saturday, June 9, 2018, at Sanford Medical Hospital in Sioux Falls. She was born March 23, 1984, in Monrovia – Liberia to Mr. Henry Teawell and Mot. Getrude Massaquoi who predeceased her. The Late Rachel Greene was a 2000/2001 graduate of the Sarah Barclay High School in Monrovia. 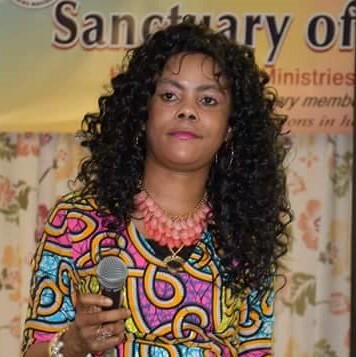 She was subsequently enlisted into the Liberia National Police in 2007 as a police officer – a position she held until her relocation to the United States with her husband (Mr. Ebenezer Greene) in 2016. Rachel was very extroverted and joyful. She loved being in the presence of God and lately dedicated her services to God. Her life was full of lots of challenges but her hope was solidified in Christ. She is survived by her husband: Mr. Ebenezer Greene; three children: Prince, Harriet, and Decontee Greene; two sisters and a host of other family members and friends. Funeral Services will be Saturday, June 23, 2018 11:00 AM at Barnett-Lewis Funeral Home.